We are pleased to invite you to join LBS Alumni – the official networking platform for Lauder Business School alumni. 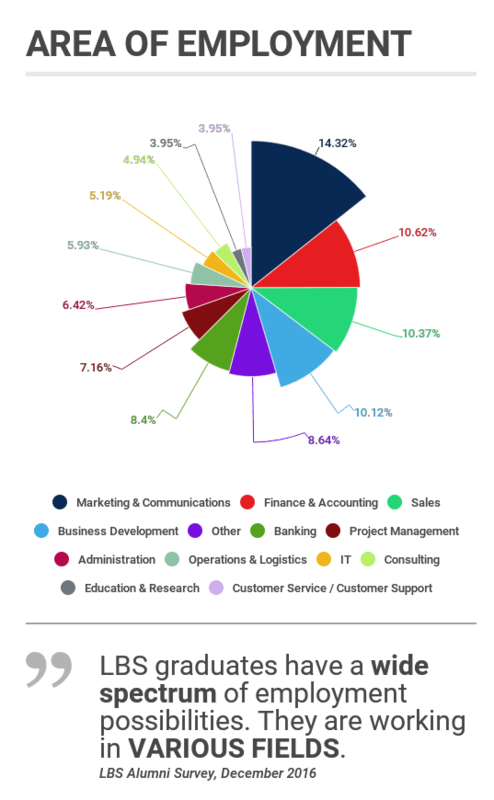 THE FOLLOWING STATISTICS ARE THE RESULT OF AN ALUMNI EMPLOYMENT SURVEY CONDUCTED IN DECEMBER 2016. 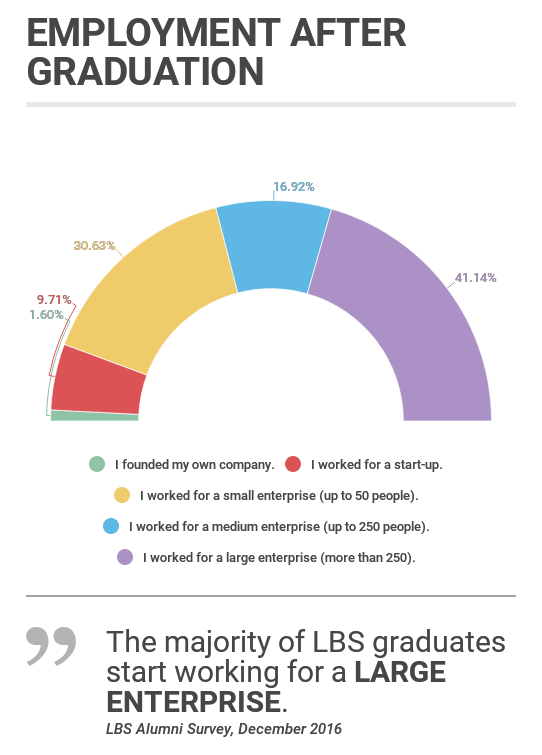 The aim of the survey was to analyze how employable our graduates are after completing their BA or MA degree at Lauder Business School. The focus was on recent graduates, i.e. alumni who completed their studies in the past 5 to 7 years. 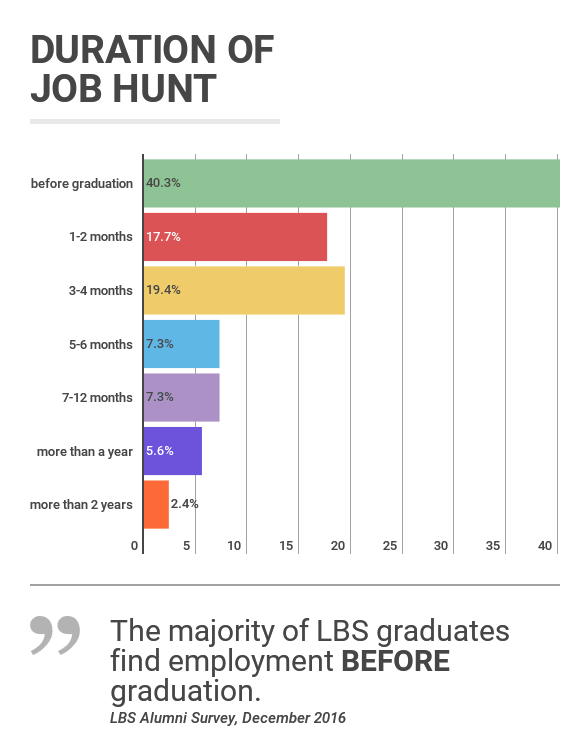 The overall results are extremely positive, indicating that LBS graduates are HIGHLY employable. 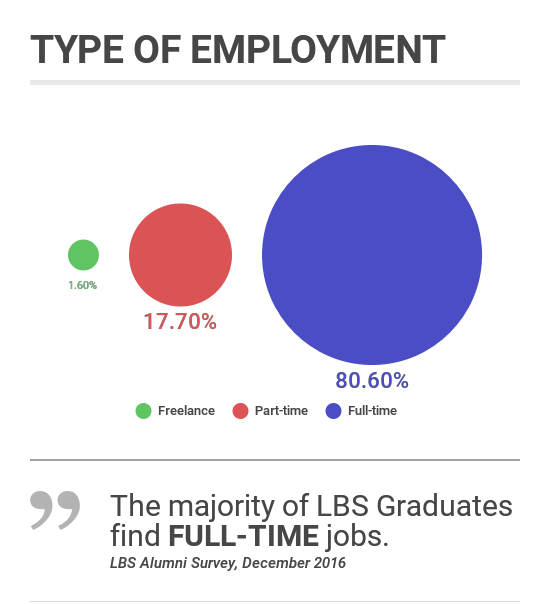 The majority of LBS graduates find full-time employment in large enterprises even before completing their studies. Also, they have diverse career paths in various fields. For details, please refer to the graphs below. Q1: HOW LONG DID IT TAKE YOU TO FIND YOUR FIRST EMPLOYMENT AFTER GRADUATION? Q2: WHAT TYPE OF COMPANY WAS YOUR FIRST EMPLOYER? Q3: WHAT AREAS OF EMPLOYMENT HAVE YOU WORKED IN? Q4: WHAT TYPE OF COMPANY WAS YOUR FIRST EMPLOYER?